Here up for auction is a Vintage DIA COMPE NIPPON 883 dated 86' old school freestyle bmx rear brake with a set of dia compe 128 levers dated 87'. These are used so please use the pictures as an extension of the description. And if you need any more pictures or have any questions please feel free to email me, thanks! U-Brake Gran Compe DiaTech Magic Front or Rear NOS For Vintage MTB BMX Charity! DIATECH AD997TW MAGIC U-BRAKE 22-32mm RIM BLK, 842802001508. We are a non-profit collective (Madison Freewheel Bicycle Cooperative) in Madison, WI. A portion of the profits from every item supports charitable bicycle programs. Dia-Compe 988 anodized aluminum alloy cantilever brake set for mid-school BMX rear brake with all hardware included. These are the correct brakes for 1990's mountain bikes with 990 mounts and mid-1990's BMX race bikes (many bikes used cantilever brakes from about 1993-1996). We have over 2500 old school and retro BMX products (as well as hard to find stuff for other types of bikes) on our website. If you don't see what you're looking for here, there's a good chance we have it there. 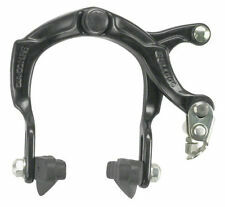 Dia-Compe 990 U-brake Rear. Condition is Used. Shipped with USPS First Class Package. Dia-Compe Royal Compe side-pull brake calipers, 47-57 mm ("normal") reach, silver. I think they are beautiful, and they work great. (I should know because I used this set for about 74,000 miles.). The steel parts are rust-free. Old School Gold Dia Compe Mx1000 Brake Caliper Dated 0482 W/ Matching Seat Clamp. I’m great condition for age . See pics for condition. 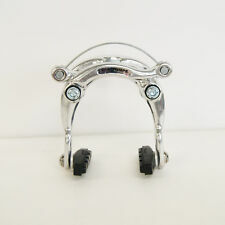 Dia-Compe Bulldog Silver Bicycle Front & Rear Side Pull Brakes 884. Condition is New. Shipped with USPS Priority Mail. 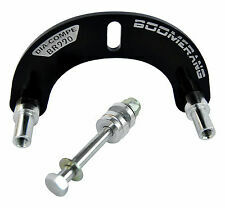 DIA-COMPE BRS 100 Road Brake Caliper 39-49MM Rear Green Dual Sidepull Charity! We have given away over 12,000 bikes, diverted 800 tons from the landfill, and taught repair skills to over 6000 people. - Dual pivot design. – Strong dual-pivot brake. We’d love to find the part or bicycle of your dreams! Up for sale is a pair of Royal Gran Compe 400 RGC400 Max 49-39Min Dia Compe brake calipers. They are in good used condition. Check out the photos. R OYAL GRAN COMPE 400. Dia-Compe 988 anodized aluminum alloy cantilever brake caliper for mid-school BMX rear brake with all hardware included. These are the correct brakes for 1990's mountain bikes with 990 mounts and mid-1990's BMX race bikes (many bikes used cantilever brakes from about 1993-1996). This is one Silver Dia-Compe 988 alloy cantilever brake. It can be used on the front or rear. Cantilever Brake. Features the new retro brake blocks and cone dress up nut on the pivot bolt. Model: 883. We have over 2500 old school and retro BMX products (as well as hard to find stuff for other types of bikes) on our website. We don’t pretend to be experts on every item, but strive to describe them in detail and provide photographs. Three brake pads are included, look great. No international accounts. Dia-Compe BMX U-brake. We have over 2500 old school and retro BMX products (as well as hard to find stuff for other types of bikes) on our website. If you don't see what you're looking for here, there's a good chance we have it there. Dia Compe 5583 brake caliper set. All parts and threads are in solid working order. no washers included. front brake is missing brake nut. Condition is Used. Shipped with USPS Priority Mail. Model: MX2. 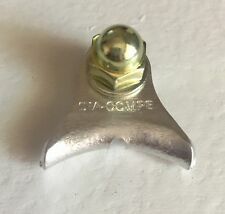 Dia-Compe bicycle V-brake (it can be used on any bike that takes a V-brake. BMX, MTB, ATB, etc.). We have over 2500 old school and retro BMX products (as well as hard to find stuff for other types of bikes) on our website. Material: alloy hanger body with steel hardware. Hanger height: 25mm. FOR BIKES THAT USE A CALIPER BRAKE. ALLOY CALIPER. FRONT BRAKE USE. The DC-750 brake caliper looks great with a polished silver finish, while also providing the performance you want for the ride. This forged aluminum caliper provides lightweight performance that will hold up the the rigors of your commute. Model DC750. Rear Center Pull Caliper. When you need a center pull brake this is the one you want. Center pull. Silver Brake. We have well over 100 years of combined experience. Silver finish. We will then send you a revised invoice with your new totals. 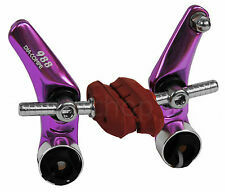 Dia-Compe MX1000 rear BMX brake caliper. Model: MX1000. We have over 2500 old school and retro BMX products (as well as hard to find stuff for other types of bikes) on our website. If you don't see what you're looking for here, there's a good chance we have it there. Dirty but in nice shape. Dual Pivot Brake. Side Pull Dual Pivot. Silver Rear Caliper. Silver finish. We have well over 100 years of combined experience. We will then send you a revised invoice with your new totals. We will not do it. Dia-Compe Bulldog rear brake caliper, Dia-Compe MX122 L R levers and one Odyssey Slick Cable. Dual Pivot Brake. Side Pull Dual Pivot. Silver Front Caliper. Silver finish. We have well over 100 years of combined experience. We will then send you a revised invoice with your new totals. We will not do it. Dia-Compe 988 anodized aluminum alloy cantilever brake caliper for BMX - rear brake with all hardware included. These are the correct brakes for 1990's mountain bikes with 990 mounts and mid-school BMX race bikes (many bikes used cantilever brakes from about 1993-1996). A Dia Compe real fs990 BRAKE. these are the last nos you will find! 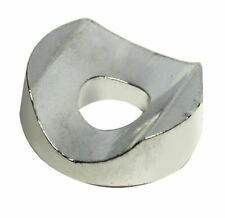 with hard wear to fit FRONT or for REAR brake use. prob late 80s early 90s stuff. old and cool from my back room. GENUINE dia-compe!!! NEW GRAN COMPE NGC400. 39-49mm Reach. Pair of Dia Compe 981 calipers and brake pads. TheDia-Compe MX1000-style Sidepull Brake Caliper is a re-issue of the classic style BMX brake. The MX logo is laser-etched on the caliper. It includes salmon-colored brake pads. Color: Silver.